Have you ever found yourself thinking your way into a tangle of fret, frustration, or gloom? 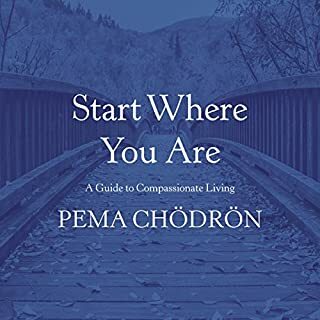 And then something small - a few kind words, the sun glancing through the clouds, a warm cup of tea - gave you a welcome pause from all your inner chatter? 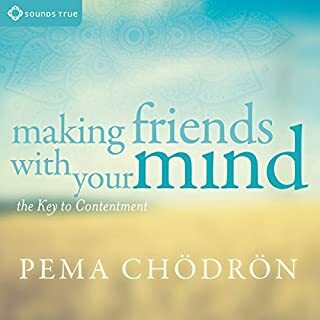 With Making Friends with Your Mind, that's what Pema Chödrön helps us to do, not by chance but with our full intention: to stop fighting with our thoughts and reopen ourselves to wonder as naturally as we breathe. 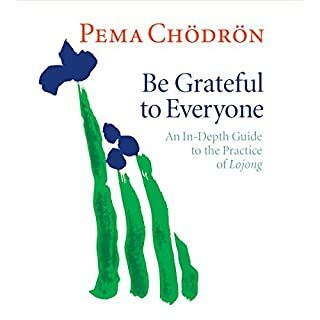 Pema Chödrön is funny and full of insight. 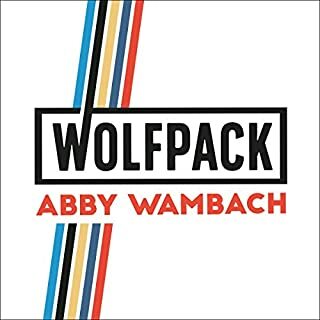 Abby Wambach became a champion because of her incredible talent as a football player. She became an icon because of her remarkable wisdom as a leader. As the cocaptain of the 2015 Women's World Cup Champion Team, she created a culture not just of excellence but of honour, commitment, resilience, and sisterhood. She helped transform a group of individual women into one of the most successful, powerful and united Wolfpacks of all time. 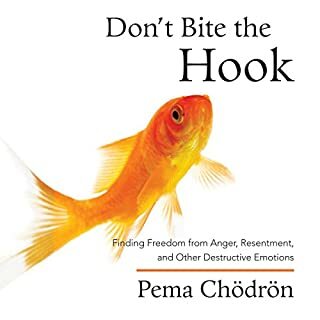 On Getting Unstuck, Pema Chodron introduces a rare Tibetan teaching she received from her teacher, Dzigar Kontrul Rinpoche, and one that has become critical to her practice. 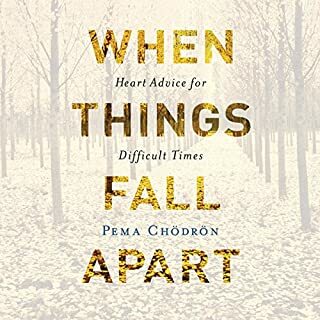 Here, she unveils the mystery of an ineffable quality; a "pre-emotional" feeling that arises in us, brings us discomfort, and causes us to react by escaping the discomfort, often with harmful habits. 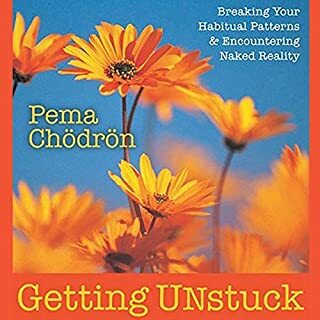 With Getting Unstuck, she offers us a first look at "both the itch and the scratch": what Tibetan Buddhists call shenpa. 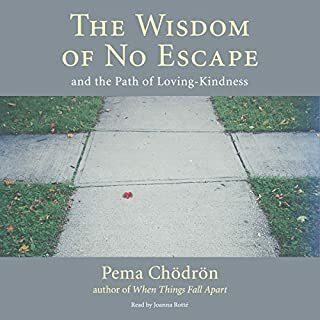 When her granddaughter was accepted to Naropa University, the celebrated author Pema Chödrön promised that she'd speak at the commencement ceremony. 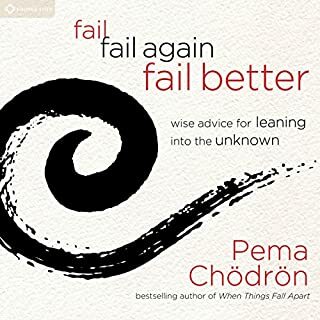 Fail, Fail Again, Fail Better contains the wisdom shared on that day. "What do we do when life doesn't go the way we hoped?" 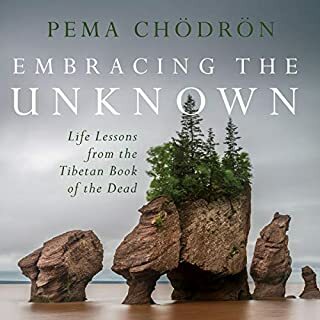 begins Pema. "We say 'I'm a failure.'" But what if failing wasn't just "okay"... but the most direct way to becoming a more complete, loving, and fulfilled human being? 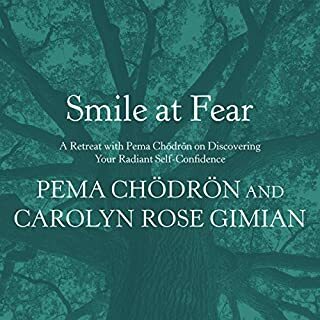 Have you ever wanted to love and connect with others more deeply... but felt that you could use a little help shedding your "emotional armor" and opening your heart? 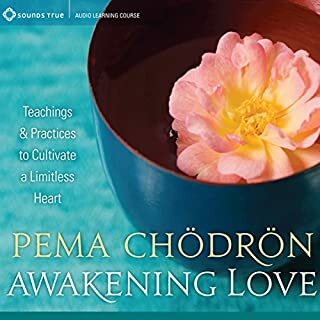 With Awakening Love, Pema Chodron invites you to start wherever you are, amid any and all of the challenges, frustrations, or fears you may be facing, and to use them as the starting place to awaken the natural and boundless capacity to give and receive love more fully. Pain, loss, shame, sadness - suffering is an unavoidable part of being human. The practice of tonglen offers us a way to transform our relationship with suffering - our own and that which is all around us. 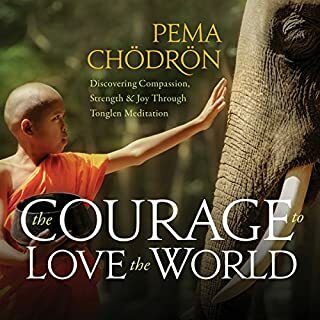 In The Courage to Love the World, beloved teacher Pema Chödrön shares insightful and heartfelt stories about tonglen, along with direct instruction and guided practice. 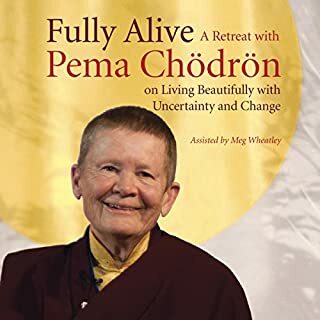 Pema Chodron, one of the West's most beloved teachers of Buddhism, makes the Tibetan vajrayana tradition accessible in today's world. 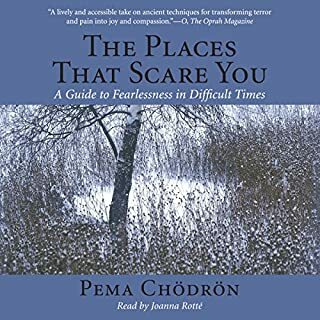 Now three of her most popular teachings are available in one audiobook set. 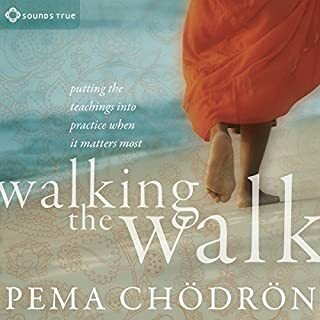 Powerful on-the-spot practices you can use throughout the day, even when there's "no time to practice"
Do the program at your own pace. 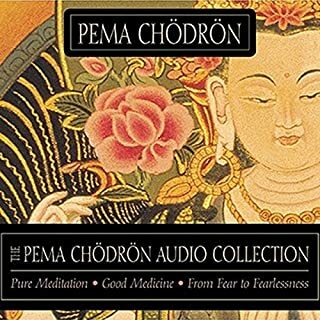 It fits perfectly with any other kind of meditation you're doing. 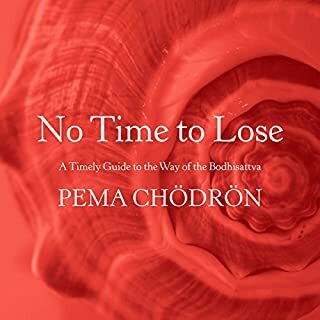 And since no previous knowledge of Buddhism is required, it's also ideal for those new to spiritual practice. 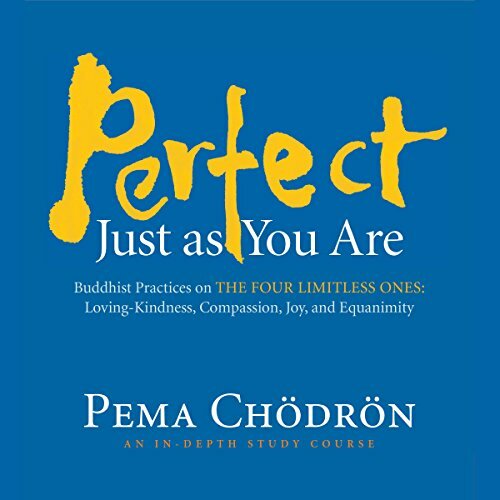 After you've completed the material in Perfect Just as You Are, you'll want to listen to it again periodically - any time you need a refresher course in compassion, loving-kindness, equanimity, and joy.
. This is a workshop with audience, not a book. It did not engage my interest each time I played a section.